In this period after university teaching and the beginning of his business he travelled a great deal. He lived and worked half the time in England as a pharmacist, learning the trade, looking out for related opportunities and keeping a keen eye on what made good pharmaceutical brands tick. He saved his money to reinvest in his slowly but steadily growing string of pharmacy shops, distribution vans, imported drug wholesaling and marketing of his own Kinapharma brands. By 1997 he felt an increasingly pressing urge to fully return home to Ghana and venture into full time manufacturing, distribution and marketing of his own brand. 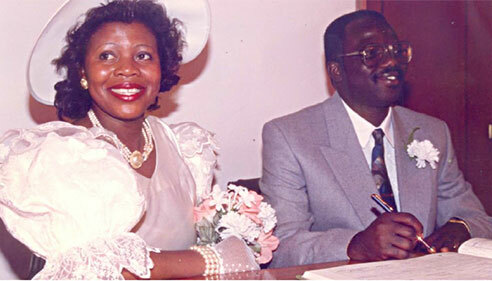 With his wife and business partner, Florence Nsiah-Poku, by his side the young family returned from the UK to Kumasi and then relocated to Accra to start a factory in 1998. He purchased an old pharmaceutical factory in Accra and retooled the disused plant and started what has become the largest indigenous Ghanaian pharmaceutical manufacturer, Kinapharma.